There's always been something of the enigma about Nico Rosberg. Not so much personality-wise, but in terms of where he actually fits as a driver in the pecking order. 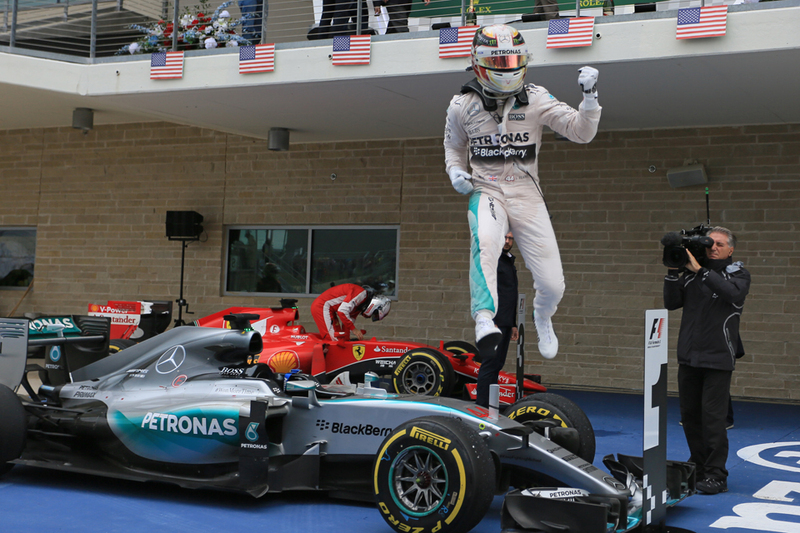 Some assume that his experience this season, his stable mate Lewis Hamilton cruising to the title ahead of time - wrapped up last time out in Austin - decoded much of this. That Nico's definitely of a rung below the top. But he's added some more complications lately, including today in claiming pole position for the Mexican Grand Prix. In a season wherein he couldn't buy a pole, only getting one in the first 13, he's now gone and bagged the last four. And this following a 2014 wherein he had Saturdays usually to himself. As I said, he's not easy to work out, this one. 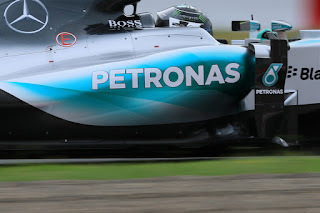 Mercedes boss Toto Wolff suggested afterwards that Nico made anger work for him this time in beating his increasingly inappropriately-titled team mate to pole. Nico himself insisted not, but he has had a lot of resolve about him this time, probably related to Austin's turn one where he felt Lewis took things too far, as well as to his own error - 'gust of wind' or no - that deprived him of the win that day and with it let the title drop to his team mate too. Is that the next title for Lewis Hamilton? Join Mithila and Kunal as they celebrate Lewis Hamilton's third Formula 1 Drivers' Championship and a FANtastic race in the United States of America. In this week's episode of the Inside Line F1 Podcast, the duo wish the sensational talents of Toro Rosso a long and entertaining career in Formula 1, tell you why Daniil Kvyat can never win the US GP and laugh-out-loud on the Red Bull Racing-Honda rumours. Here is my latest race review for Motor Verso, for last weekend's US Grand Prix at Austin. And what a weekend it was. So much so that not even the various all-time marks falling Lewis Hamilton's way with his latest championship clinched could get all of the attention. It started as the story of the hurricane, and us not getting a race at all looked a genuine possibility. 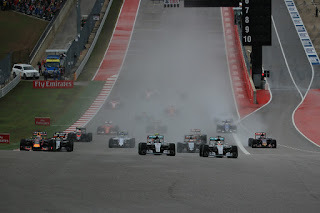 But we did get a race, and the weather did its bit towards one that was enthralling and roller-coaster like, and one in which for much of the way even Lewis's title for this weekend anyway looked a long shot. This weekend we have our only new round of the season. But of course it's not actually new. Far from it. Further this ain't your usual parachuting into a raw territory with little motorsport heritage or support in that apparently habitual modern F1 way. Again, far from it. This weekend indeed F1 returns to Mexico for the first time in 23 years, and this is a country with a strong and rich motorpsort previous as well as plenty of current-day support and enthusiasm. 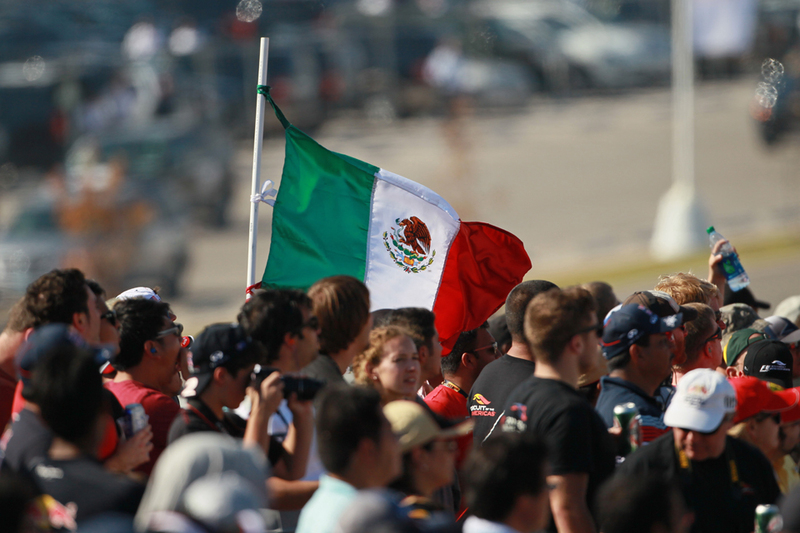 There right now is a Mexican driver in Sergio Perez and another one in Esteban Gutierrez who has one foot stepped about but is expected to step it back in shortly. 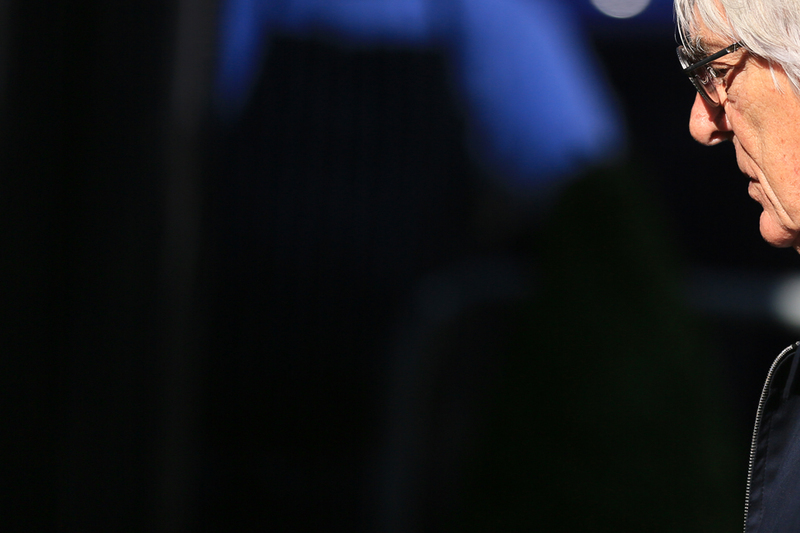 The Haas team is to announce its second driver for 2016 this Friday. In Mexico. Read into that, um, what you will. And Perez indeed beamed at the news that his home gig is to be re-established: "They've been really pushing for so many years, since I came to Formula One four years ago" he said last year. "The spirit of the fans is massive back home. It's great for my country…I'm just very proud and excited." You know the one about not judging a book by its cover. Well today's US Grand Prix in Austin provided proof positive of its wisdom. 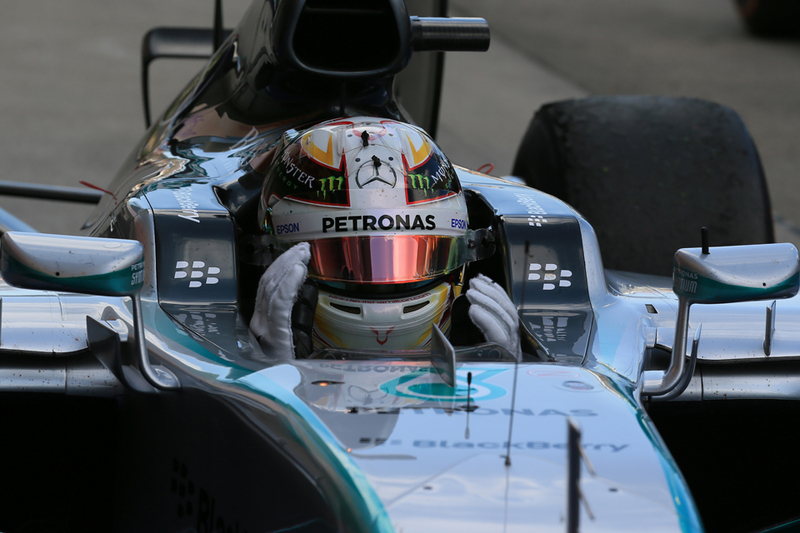 Lewis Hamilton won out from his Mercedes team mate Nico Rosberg and with it confirmed his third drivers' title. It's a title that's looked inevitable for a while of course. Indeed you could make a case that it's looked inevitable ever since Lewis's imperious win in the season-opener in Melbourne. Whichever way you slice it it has been crushing. Whichever way you slice it too Lewis's latest triumph ensures his place in the sport's pantheon if he was not there already. Three drivers' titles, only the tenth ever to do that, only the second Briton as well as the first of his nationality to win back-to-back championships. Only extreme churls will suggest this one at least, or much of his other success, wasn't deserved either. 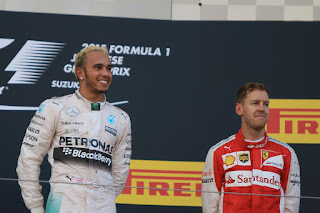 More broadly the final top three in the Austin race of the Mercs with Lewis ahead followed home by Sebastian Vettel looked almost identikit for the 2015 season, but make no mistake there was nothing standard about how we got there today. Nor for much of today's race was there much standard, nor indeed inevitable-looking, about Lewis clinching his latest crown in the here and now. So after yesterday and all that F1 so far today has gone some way to salvage things. We had a qualifying session as (re)scheduled first thing on Sunday morning, or at least we had most of one. And one that did rather a lot to demonstrate in a way that couldn't be missed just what level of skill the F1 driver operates on. 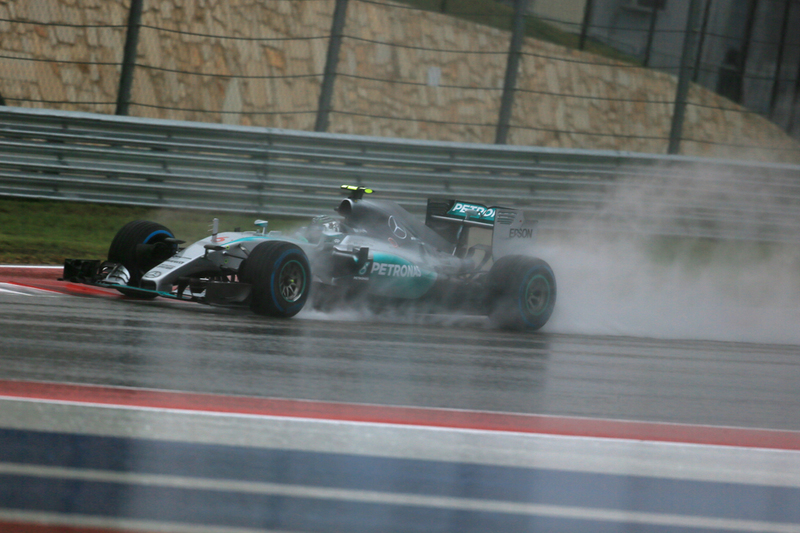 There was still rain around in Austin for the quali hour. Someone reckoned it had fallen for something like 28 hours solid. 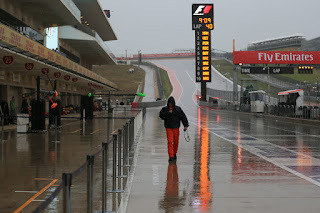 But it was lighter than before, and F1 cars could run although the track remained saturated and in places close to perilous. But even with all of the uncertainty we yet again ended up with an all-Mercedes front row. Reminding us once again as Jackie Stewart for one often does that cars with the most grip in the dry also will likely have the most grip in the wet. And as is also becoming a pattern in recent times it was Nico Rosberg who claimed pole position. That's now three poles in a row for him in a season wherein he'd only got one (also the one time he'd beaten his team mate) before the start of that run. It's all too late to save the championship but at least like the best captains he's going down with his ship. Which given the water around is a metaphor that seems particularly appropriate this time. It had a depressing familiarity. First the qualifying start was delayed by half an hour. Then another. Then another. Then another. Then another. Then (hallelujah!) that if the weather didn't break quali would be 0900 tomorrow instead. Then eventually, at about 1600 local time, some three hours after the qualifying action was due to start, they gave up indeed to reconvene tomorrow morning. Why always America, as The Sun's Ben Hunt lamented? That most scared of prizes for the sport? Ten years on from Michelin-gate. Also in the land of the Dallas farce; the Las Vegas car park; the Phoenix ghost town; Watkins Glen running out of money; Long Beach and Indy lost to the sport's financial hard ball? As for this time, as Bob Dylan might have had it, this is the story of the hurricane. 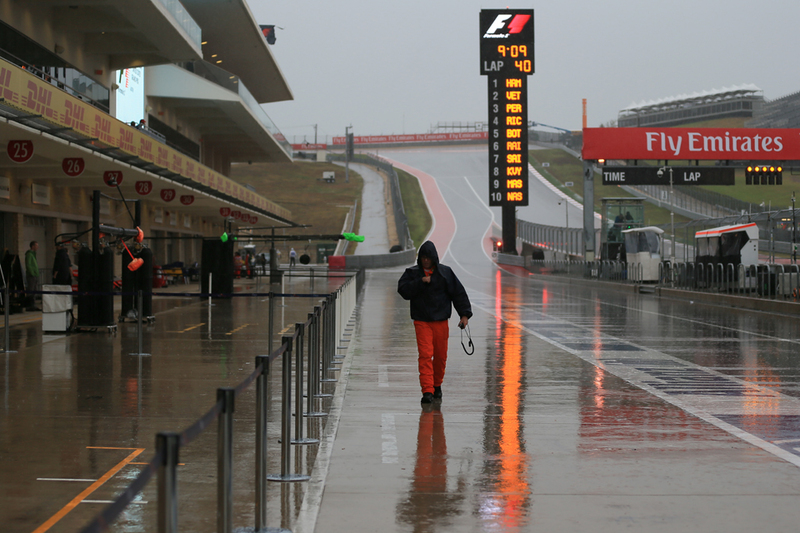 The outer edges of Hurricane Patricia hitting the Austin Grand Prix weekend yesterday and today. Bringing with it vast quantities of rain and often of the horizontal variety. 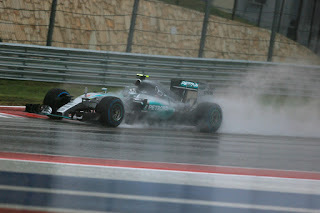 The first practice session on Friday did happen, albeit in the wet. The second was canned, due to lightning in the area and strict rules in America about requiring people (such as marshals) to work in such conditions. It will be no revelation to you that F1's previous round, that in Russia, is not one to win popularity awards. Not aside from those judged arbitrarily by Bernie Ecclestone at any stretch. This is for a number of reasons, as explored in my recent Grand Prix Times article. But cheek-by-jowl it's followed by a round that rather is at the opposite end of this particular scale. One which you will not hear a bad word spoken of. A round that demonstrates that modern F1 doesn't always get it wrong, not even with the outputs of its chief architect Hermann Tilke. 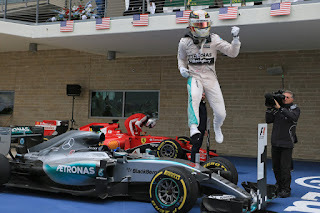 This is the United States Grand Prix in Austin, Texas. And if the Sochi round's unpopularity is down to a few things in combination, Austin's star pupil status similarly is attributable to a multitude of factors brought together. For starters possibly no other host ever, not even Adelaide, has given such an impression of being thoroughly delighted to have a Grand Prix; so determined to most the most of it and give a lasting impression. Possibly not even Adelaide has embodied a Grand Prix as much. Possibly it's a matter of size - being big enough to have the race but not so big to be just another event there; to be swamped. The Texan city has around one million inhabitants just as Adelaide. Austin more broadly as a city charms even the sport's grizzled bunch. It is eclectic, outward-looking and lively, also as the self-styled 'Live Music Capital of the World' it's well used to putting on large events and giving visitors a warm welcome. The life of most sports-people is one lived on fast forward. For them even in a successful career allowed to reach its full fruition the time elapsed between being a promising prospect and a past-it usually is less than the rest of us spend even as a school kid. It can be quite the disconcerting existence. But even within this for Kevin Magnussen the gap between rise and apparent fall has been breakneck. Rewind back only 18 months or so to the 2014 season-opener in Melbourne, and the Dane's freshman F1 race freshly as Formula Renault 3.5 Series champion. It looked like he had seized immediate next big thing status with a fast and flawless debut run to what became second place eventually. 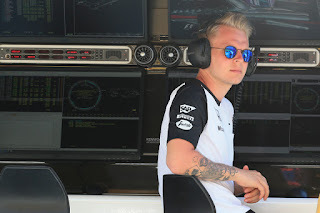 I for one thought too that there was a touch of Mika Hakkinen about the apparently imperturbable and monosyllabic blond Scandinavian out of the car and his ability to make a McLaren sing while in it. But not long afterwards and almost without an intervening period he was thought by a few as a busted flush. Speed still was there, though not consistently and he struggled to eke out life from the modern brand of Pirellis like his team mate Jenson Button could. A creeping tendency as the season progressed to overdo it when he had other cars around lost him friends. Come the campaign's end and having totalled well under half of Button's points total, as well as being behind him on the qualifying match-up, he was the one moved aside to make way for the returning Fernando Alonso. Now a year of limbo on it has just been confirmed that he is out of McLaren altogether. The second Russian Grand Prix of modern times has just happened, and it's fair to say that the Sochi event is one that does not command universal popularity. "F1 Grand Prix Russia 2014 start lane" by premier.gov.ru. This is for a number of reasons, some more legitimate than others. 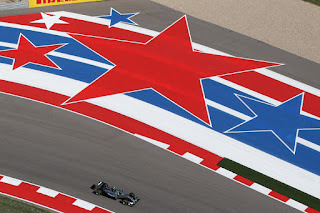 In my latest article for Grand Prix Times I explore these, as well as outline why I, despite all this and while it puts me very much in the minority, actually like the Russian Grand Prix. I also look at a matter that was made obvious by the debut Russian race 12 months ago, and was hinted at by the latest one, that F1's problem of aerodynamics that don't allow cars to get near each other, at least without sticking plaster solutions such as gumball Pirelli tyres, has not gone away. 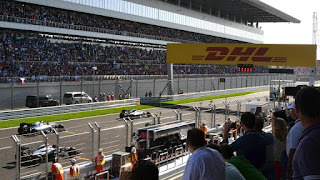 Here is my latest race review for Motor Verso, for yesterday's Russian Grand Prix at Sochi. There were plenty of parallels with last year's debut race at this venue, though this time - thanks in large part to an awkwardly placed safety car period - there was a bit more entertainment out there. However just like last year there was little doubt over who the winner was to be, and from an early stage. That winner remained the same too. So it was a lot like last year, only perhaps a little more so. 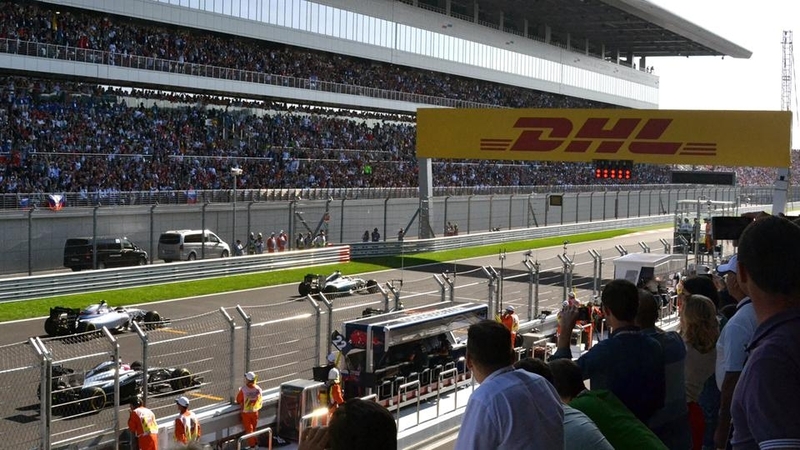 The Russian Grand Prix has come and gone. A certain Vladimir Putin was conspicuous on the TV coverage including in and around the podium. 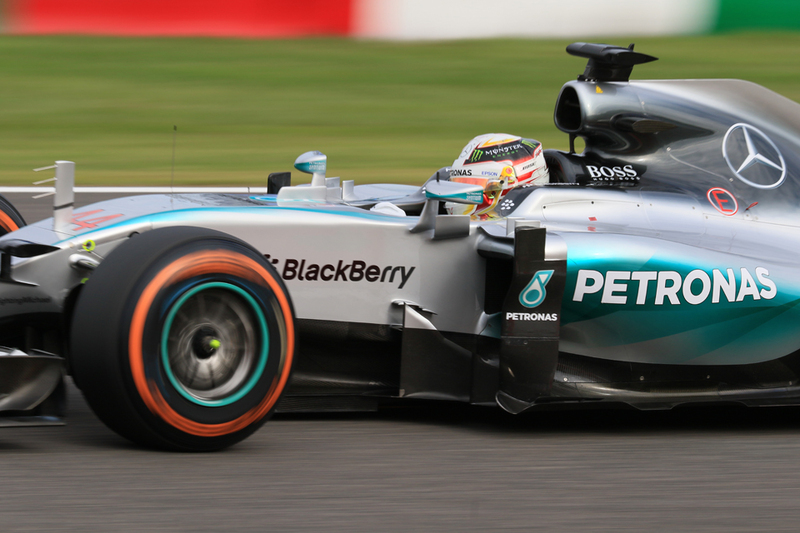 And a certain Lewis Hamilton cruised to the win. 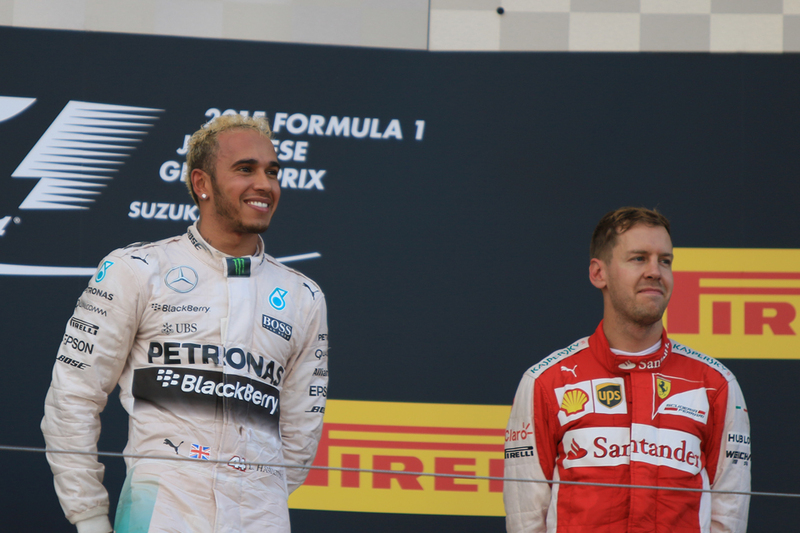 And that certain Lewis Hamilton just like then cemented his latest world drivers' title yet further with his triumph. Again only more so, as the man who that at the start of the race was his closest challenger as well as was the man who took pole and led from the off, team mate Nico Rosberg got nothing from the day due to an apparent throttle problem. Lewis's championship number three therefore in Sochi went from highly strong probability to racing certainty. Next time out in Austin should Lewis get two points more than Nico and nine more than Sebastian Vettel, who now is next up, it'll all be official. And even if he doesn't somehow he'll then have three more chances to wrap it up. And while the Goddess Fortune smiled on him this time Lewis's defenders will point out that he of the Mercedes pilots had the mechanical misfortune two rounds ago in Singapore - albeit when he was due to get P4 at best rather than a potential win. And it's near-impossible to suggest credibly that his points advantage right now owes much at all to dumb luck. To think we expected Singapore Mark II - Nightmare on Mercedes Street. Instead the plot was much more clichéd. Yes dear reader despite some of our advance expectations to the contrary qualifying for the Russian Grand Prix was yet another demonstration of crushing Mercedes superiority. 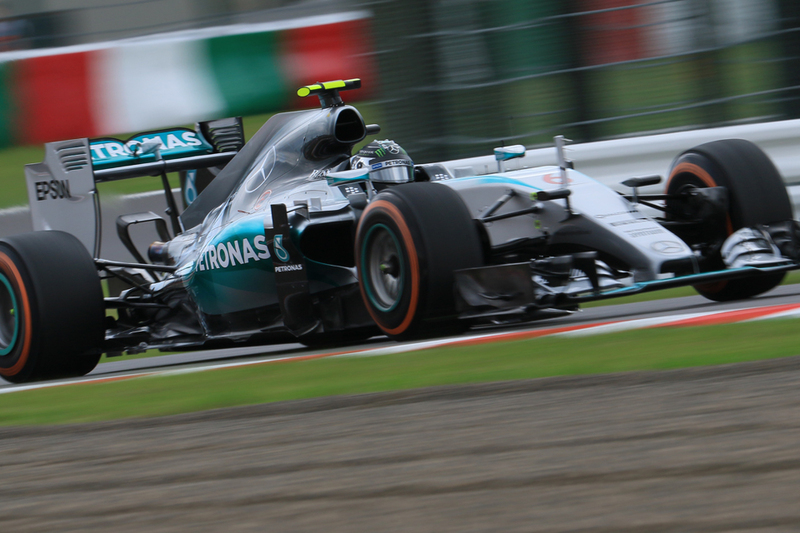 But as with last time out in Suzuka there was a minor yet conspicuous variation from the usual Saturday script. Nico Rosberg claimed pole position, only the third time this year that he's done so - or even got one over team mate Lewis Hamilton in qualifying - but also the second time in two rounds. This time indeed he looked clearly on top of Lewis throughout, usually by around an almost gaping by F1 standards two or three tenths. His pace often was stunning and Lewis this time couldn't get with it. Come the final part of the session that would set the front of the grid Nico first did a 1m 37.1, with Lewis's effort some three tenths plus over it. Then on their next fliers Lewis got it wrong at turn 13 and ran into one of Sochi's tarmac run-offs. 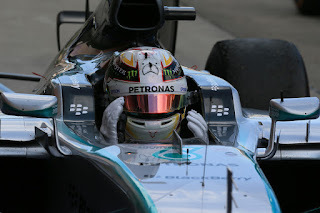 Lewis thus parked it in the pits with around three minutes remaining and the day in terms of the front row at least was therefore done ahead of time. Nico reflecting as much quickly followed suit. The two Mercs sitting leisurely by, their business complete, while the rest still scrambled round in the exercise of establishing third place at best you might say rather summed up the last two F1 seasons. "Did tyres play an important part today?" asked a typically self-important Mark Thatcher - working for American television for some reason - of the victor of the 1981 Las Vegas Grand Prix just finished. That victor was Alan Jones, who couldn't believe his luck that Thatcher seemingly was unaware of the trap he had just laid before himself. "Oh, absolutely" replied Jones. "You see, they keep the wheels from touching the ground". 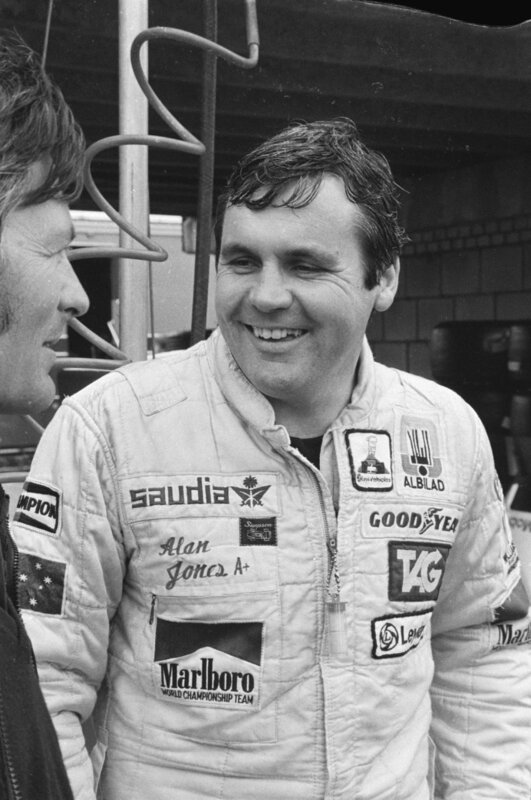 Yet even Jones when not being facetious appreciated the real importance of tyres in F1. "Goodyear are letting us down" he said of his rubber to journalist Nigel Roebuck at the Austrian Grand Prix earlier that same season, "we need some proper qualifiers. If it was up to me, I'd go back to Michelin tomorrow". And when it was pointed out that such things often are preceded with 'don't quote me' or similar, Jones was resolute. "Write it" he said. "It might get someone angry - and then something might get done about it". Yet for all that we scarcely seem to stop talking tyres in modern F1, specific talk as Jones' is now a relic of the past. Now we are in the age of the single tyre supplier supplying its product to any and all competitors. Many ages of F1 past have had but a sole supplier too but nowadays is different, as only one is allowed. Brought in as a cost control device from 2007 onwards tyre suppliers periodically tender to be the sport's solitary chosen one. While you or I might go to visit National Tyres and Autocare or Tyre Shopper to chose their road tyres, F1 teams do not have a say on their rubber. A decision on the latest contract, for 2017-2019, is expected soon with the incumbent Pirelli and Michelin the two companies that have pitched. 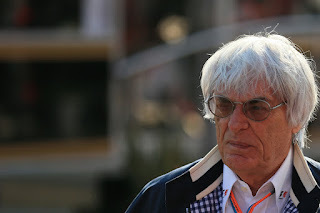 It's now in effect an arbitrary Bernie Ecclestone decision as the FIA has approved both tenderers and simply he now does the deal that he chooses. And even though reportedly teams have been putting pressure on to ditch the controversial Italian supplier, as well as that no one's got rich by second guessing BCE, the smart money remains on Pirelli hanging around. Bernie wants to continue to use the rubber as a means of spicing up the show via deliberate degradation it is thought; Michelin is more cool on the idea. So that presumably is that. His rather earnest defence of Pirelli in Monza seemed to rather cement the idea. As we near the Russian GP, Mithila and I put the lesser spoken about Red Bull racer Daniil Kvyat through the 'hot or not' test. We tell you why despite being the ONLY Russian driver on the grid he will still be ONLY second most popular. Apart from the Russian GP, we talk about how the fight now and in 2016 could be to stay off the back row of the grid and if Grosjean's signing up with Haas with Ferrari in sight for 2017 makes any sense. It was easy to miss, what with everything else, but the Russian Grand Prix 12 months ago was important. Important, that is, at the sport's geo level. A Grand Prix in that vast country was upon us for the first time in exactly 100 years, and that country had for most of the intervening period represented an enticing yet always out of reach frontier for the sport to conquer. Moreover it happened after upwards of three decades of trying on the part of Bernard Charles Ecclestone, who like a lot of people had long since identified the populous and expansive territory as a key strategic and potential growth market. Periodic talk of a Russian/Soviet race, even sometimes accompanied by Bernie visiting the country and resolutions drawn up apparently when he was there, persistently came to nought. Indeed a Grand Prix in the Soviet Union to be held on the streets of Moscow appeared on a provisional F1 calendar as long ago as that for the 1983 season, only to be scuppered by various bureaucratic machinations. As it was the first 'Eastern Bloc' visit by the circus was instead in Hungary in 1986, a country which had proved rather more accommodating. In the time since prospects of a Russian F1 race came and went like the ocean tide, but in more recent years renewed momentum was found. Indeed a Herman Tilke-designed 'Moscow Raceway' (albeit some 80km from Moscow) was completed and following its opening in 2012 hosted Formula Renault 3.5 among other things. 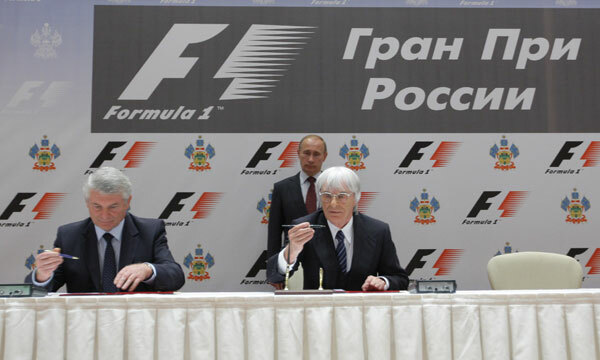 Then finally in late 2010 it was announced that a Russian Grand Prix was to happen. Not in Moscow but rather in the Black Sea resort of Sochi. Just lately there has been a lot of focus on Ayrton Senna's total of 41 Grand Prix wins, and current drivers getting with it. Sebastian Vettel nosed ahead of Senna with his Singapore win, while Lewis Hamilton matched his late hero's mark in Japan. And yet there were plenty who reckoned not much could be read into these. 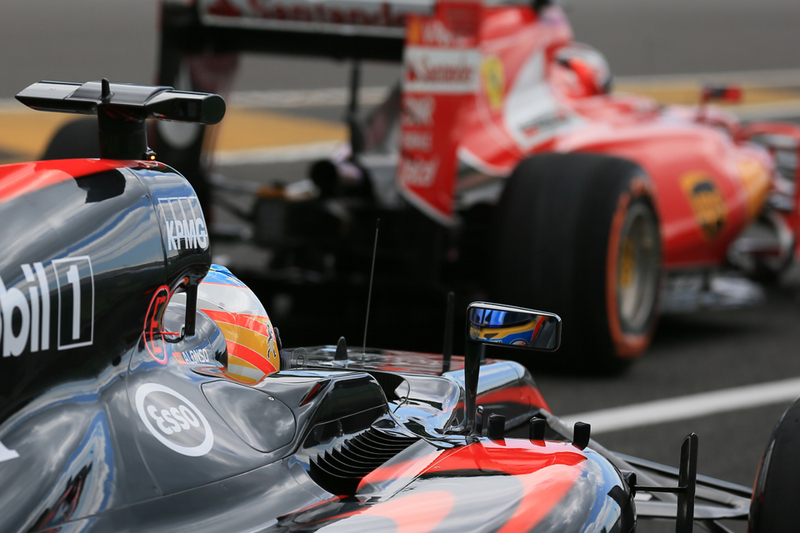 That old mantra, that you can't compare the records of different F1 eras, was trotted out. Those who say this have a point though, and among the many reasons for this a big one is the reliability of F1 cars, which is much stronger now than it was in Senna's day. 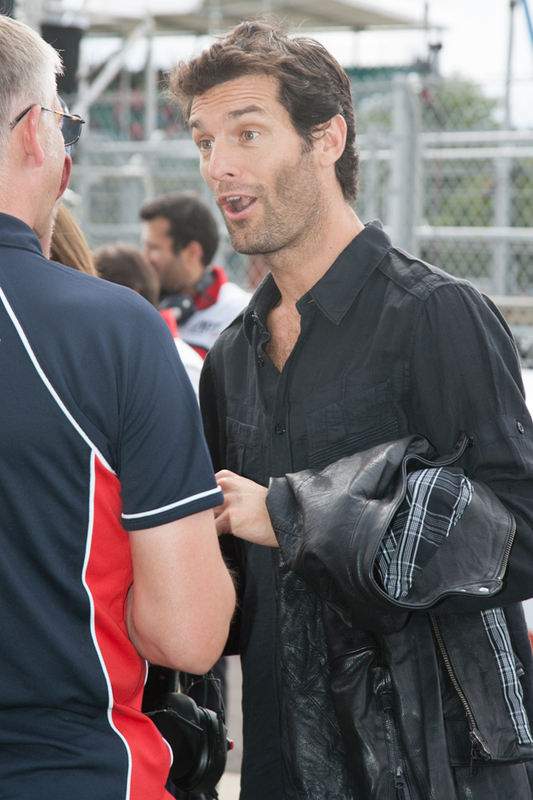 Even though he departed the F1 stage at the end of the 2013 season Mark Webber has remained one with a lot to say about the contemporary sport. It tending not to be complimentary. He was at it again recently talking about the depth of driving talent in current F1 as well a the number of pay drivers. For all that it won the Australian applause from the gallery for Motor Verso I look at Webber's comments and outline why they're a little wide of the mark. Should Bernie, and F1, have a more professional approach? We all know what the problems are now in F1. We know too that the solutions are usually obvious, but that also due to the sport's ways simultaneously can seem exasperatingly far from reach. Extended spells of mind-numbing frustration are quite the lot for observers of this game, those who instead wish to see the sport flourish. Are Bernie's deals to be void? And for a good while now even among the other matters of contention there have been a few that have over-arched the rest. The first are the commercial deals in place for the period of 2013-2020 that the teams signed (a few say under duress). Those which skew revenue very heavily towards the few outfits at the top, as well as gives five teams money just for being them. In the cases of Ferrari and Red Bull rather vast sums of it. Underlining its absurd distortion the pair, despite severe underperformance on track in 2014, each got more significantly wedge for the year even than the dominant Mercedes. Worse it leaves very little for those towards the back, and indeed such are the minimum costs just for turning up in F1 (which themselves have increased in recent years) this money distribution condemns most have-not teams to hand-to-mouth existences. For them competing at the front is an ambition in theory only. Sheer survival is the priority, and one not always achieved. Caterham indeed went bust last season while Manor (nee Marussia) very nearly went the same way. Then we of course have the notorious Strategy Group, in place since late 2013, and you might say the governance equivalent of what's just been described. In it sits the governing body the FIA, Bernie Ecclestone's commercial lot FOM, as well as six teams - a 'big' five which are permanent: Ferrari, Red Bull, Mercedes, Williams and McLaren, and whichever other one was highest in the previous year's constructors' standings (currently Force India). The other five (next year six) 'smaller' squads are not represented at all.